This book from renowned children's book illustrator, Taro Gomi, invites kids and artists of all ages not only to color, draw or paint but to spur creative thinking, stretch their imagination and create. 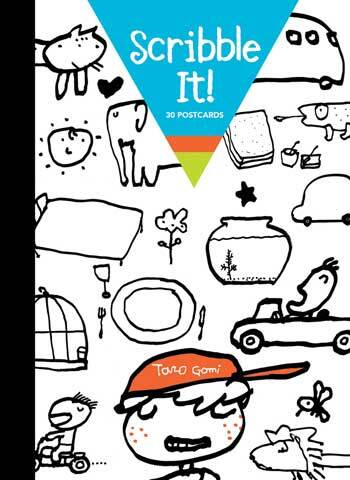 It features 30 mailable ways to create with playful prompts and open-ended artwork. Ideal for creating postcards at home or on the road.